It would seem that the future has overtaken us in certain aspects—just ten years ago we couldn’t have imagined the current state of certain technologies that we use today. The recent announcement of the birth of the world’s first genetically modified babies has also confronted us with a classic vision of the future, but one that for many is terrifying. On the other hand, in other fields the future seems reluctant to arrive: we still haven’t found proof of extraterrestrial life and a human has yet to tread on Mars, a planet which still hides great secrets. Here we review some of the most memorable science news of this year in which physicist and science populariser Stephen Hawking left us. Undoubtedly, the most publicised science story of 2018 broke on March 14, when it was learned that British astrophysicist Stephen Hawking had died at the age of 76, a longevity record as he was diagnosed with amyotrophic lateral sclerosis at just 21. Hawking left behind two main scientific contributions—his theoretical studies on black holes and his description of the Big Bang as a singularity of space-time, an idea inspired by the work of Roger Penrose, which has given a solid endorsement to the hypothesis of a colossal explosion being the origin of the universe. But Hawking was much more than an academic—his efforts at popularising science and his remarkable charisma made him the most popular scientist of the 20th century after Albert Einstein. 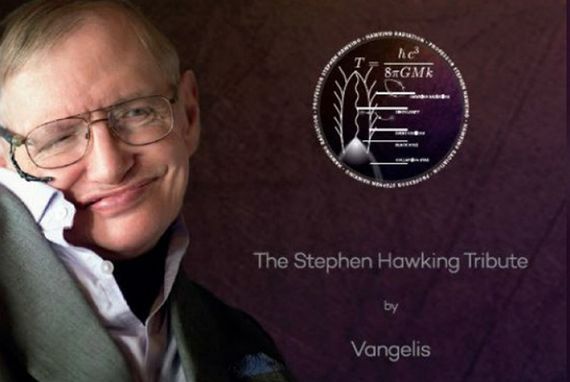 His final takeoff to the stars is more than metaphorical—on June 15, on the occasion of the burial of his ashes in London’s Westminster Abbey, his voice was beamed into space along with an original composition by the musician Vangelis from a European Space Agency ground station located in Cebreros (Spain). The destination of the broadcast is the closest black hole, located some 3,500 light years from Earth. 2. The first babies with tweaked genomes? Interestingly, the science news with the greatest impact in 2018 has been more vilified than applauded, and we don’t even have confirmation that it actually occurred. 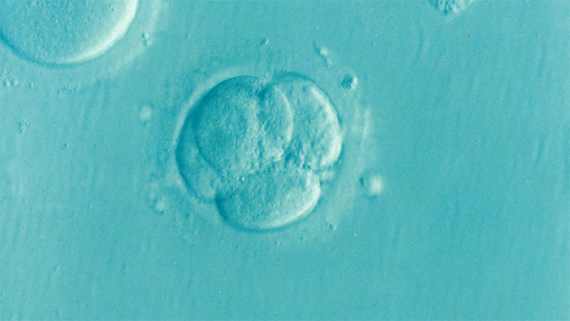 In the last week of November, we learned about the claim of Chinese researcher He Jiankui to have obtained, for the first time, babies with genomes modified with the CRISPR gene editing tool, thereby crossing a line about which an intense ethical debate still rages. As He has not yet published his results, it’s impossible to confirm whether he has indeed successfully altered a co-receptor of the human immunodeficiency virus (HIV) to make the babies resistant to AIDS. In any case, He’s experiments have been described as irresponsible, harmful and dangerous, although certain researchers, such as the American geneticist George Church, argue that the genetic editing of human germ cells for therapeutic purposes is an advance that must materialise. Regardless of how the case of He develops in the coming months, the news has served to intensify the discussion about the permissible uses of a technology already available to researchers. News stories about the presence of liquid water on Mars are like the waves on a beach—they ebb and flow periodically, in some cases reversing what we thought was already proven. That happened with the alleged seasonal flows announced in 2011, which were relegated to the drawer of probably failed hypotheses in 2017. But this year, new life has been breathed into the hypothesis that our neighbouring planet harbours the essential liquid for life. 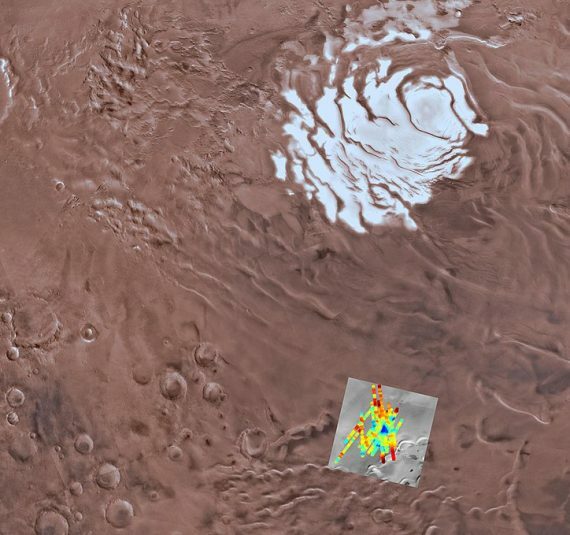 In July, a team of Italian researchers analysed radar data collected by the ESA Mars Express probe to deduce that 1.5 kilometres under the ice sheet of the Martian South Pole there is a liquid lake about 20 kilometres long and at least one metre deep. The data don’t clarify whether it would be a true sub-glacial reservoir or a stratum of wet rock, but its liquid state does seem to have been confirmed, which would join the recent detection of complex organic molecules by the Curiosity rover to increase the likelihood of the possible existence of Martian life. 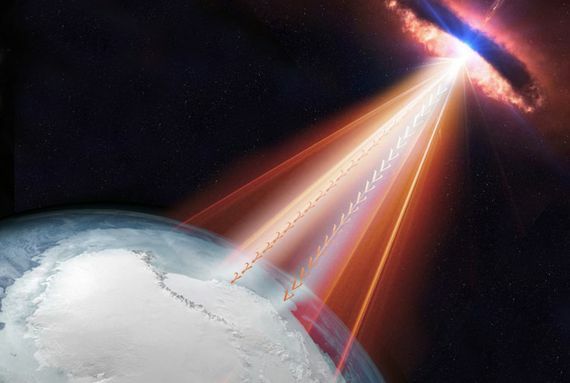 …particles so small that they slip through matter without leaving a trace, began a cosmic voyage of 4 billion years, which would take them deep into the bowels of a monumental scientific observatory today buried deep in the ice of the South Pole in Antarctica. Aptly named IceCube, this high-energy neutrino detector takes advantage of the very unlikely collisions of these tiny particles with an immense network of sensors to record their passage and track their origin. In July of this year, IceCube managed to pinpoint the origin of one of these neutrinos in a blazar, an energy source associated with a black hole in the centre of a distant galaxy. As happened with the first detection of gravitational waves announced in 2016, the capture of high energy neutrinos from distant cosmic sources provides a new lens for astrophysicists with which to observe the universe, expanding what is known as multi-messenger astronomy. In the last decade of the last century, we began to hear about a new mechanism of cellular regulation through small molecules of RNA (a chemical form similar to DNA) that selectively block the activity of genes. 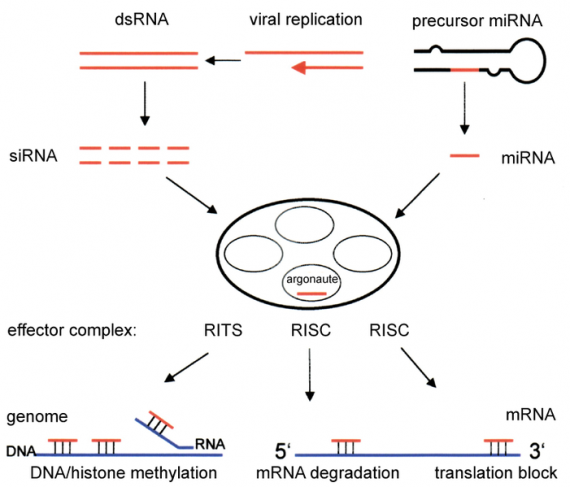 RNA interference (RNAi) is part of the system that directs the development and function of different cell types to fulfil their missions in the body. However, along with the discovery of these natural regulators, there arose the possibility of designing customized RNAi to modify the activity of certain genes involved in diseases. This year has seen the approval of the first of these drugs in the US and the European Union: patisiran, an RNAi that blocks the gene that causes a rare hereditary neurodegenerative disease called familial amyloidotic polyneuropathy. Its approval paves the way for a new category of drugs that promises to expand in the years to come. Edition 2.0 of manned space exploration will have the essential collaboration of so-called NewSpace, the thriving emerging private space flight industry. Therefore, each new advance of these companies is a step towards the return of human beings to deep space. In February, the Falcon Heavy rocket from SpaceX, the company of Elon Musk, launched successfully—although without a crew. Perhaps the impeccable debut of the new American launcher would have captured only the interest of specialists, had it not been for one of the most fantastic advertising campaigns ever conceived: the payload of the rocket included the red convertible Tesla Roadster of Musk himself, driven symbolically by a mannequin to the sound of David Bowie’s classic song Space Oddity. However, the eccentric side of the South African tycoon has not been well received by some scientists, according to whom the car might one day contaminate Mars with terrestrial microbes. In recent decades, scientists have proven that the keys to the history of terrestrial biology are not only found under the ground, but also in laboratories. The advanced experimental techniques reveal details in the fossil remains that are not visible to the naked eye, but that are essential when reconstructing the history of life on Earth. 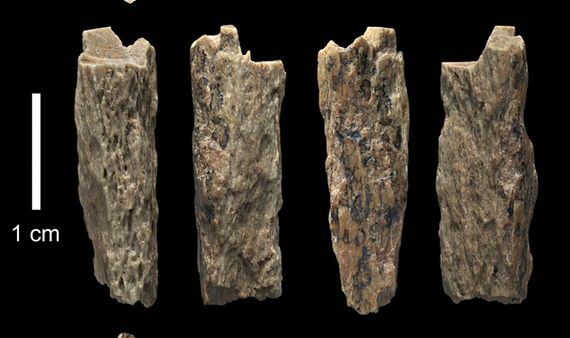 Such is the case for the procedure that in September allowed a group of researchers to identify cholesterol molecules in Dickinsonia fossils, an organism known since 1947 but which until now had not been assigned with certainty to a specific biological taxon. The finding shows that Dickinsonia was definitely an animal, and its age of 558 million years makes it the oldest known animal found to date, almost 20 million years before the Cambrian explosion. 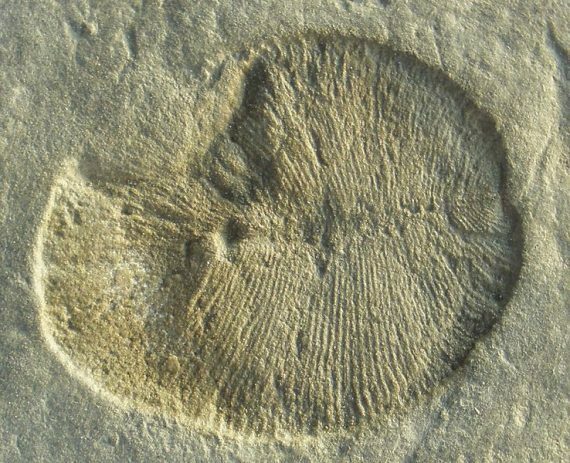 The results suggest that our lineage as animals goes back to the Ediacaran, an ancestral period rich in life forms, whose possible modern descendants are still a matter of debate. Homo sapiens are the only species of humans existing today. We already knew that this hasn’t always been the case, but this year we learned that the history of our lineage is probably much more complicated than we suspected. In August, a study led by the paleogeneticist Svante Pääbo revealed the genome of a woman who died 90,000 years ago and was the daughter of two different types of humans: her mother was Neanderthal and her father Denisovan, a still relatively-unknown group who lived in Asia. This case of interbreeding joins the other well-known cases of modern humans breeding with Denisovans and Neanderthals, confirming that the evolutionary line of our species is not really a line, but rather a tangled network. After three years of scientific studies and speculation, it seems that the last possible existing clue for an alien civilization was a dead end. 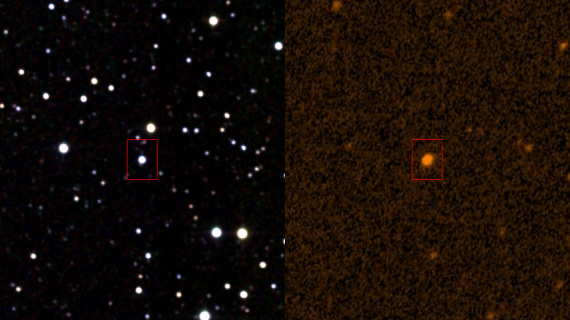 When a 2015 study showed a strange attenuation in the brightness of a star called KIC 8462852, located 1,470 light-years from Earth, there were those who recalled the prediction made in 1960 by physicist Freeman Dyson that this would be the sign of an engineering mega-structure constructed by a technologically advanced species to harvest the light of the star. However, this year several studies have concluded that, in all likelihood, it’s just a cloud of dust. But paradoxically, perhaps we are at the beginning of a new golden age in the search for extraterrestrial intelligence (SETI). For the first time since 1993, the US Congress has proposed providing NASA with 20 million dollars over the next two years to look for technosignatures, such as radio signals, in the universe. As this year and this list draw to a close, we finish up, appropriately, with the physical place where the Solar System ends, or at least where the most distant chunk of terra firma in our cosmic neighbourhood (that we know about) is located. 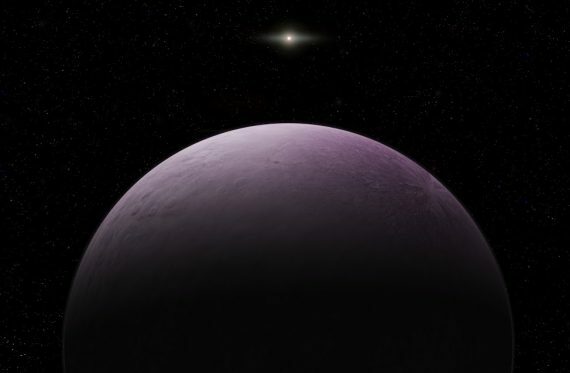 Just a few days ago, the discovery of 2018 VG18, nicknamed Farout, was announced, the first trans-Neptunian object detected more than 100 times the distance from Earth to the Sun—120 times to be exact. Artist concept of 2018 VG18 “Farout”. Credit: Roberto Molar Candanosa/Carnegie Institution for Science. The object, about 500 kilometres in diameter and pinkish in colour, is more than three and a half times farther away Pluto. Scientists don’t yet know its orbit with precision, but they estimate that a year on Farout could last more than 1,000 Earth years.